All mowing service includes edging and cleanup. We offer flexible scheduling, including weekly, 10-day and bi-weekly service, with no contracts. Prices start at $30. To encourage growth of your lawn and maintain ideal growing conditions, we recommend aerating and de-thatching once a year. We use a core aerator to get the best results. Prices start at $35 each. To maintain a full, lush yard, it should be re-seeded every two to three years. Landscaping should be done in the spring or fall, depending on your preferred grass type. Pruning is an essential part of yard maintenance. In addition to maintaining a groomed appearance, pruning helps keep trees healthy and keep your property safe. Leaf buildup can smother and kill your grass. Mulching your leaves breaks them down into small pieces that can easily decompose while feeding your lawn. We also offer removal service when preferred. 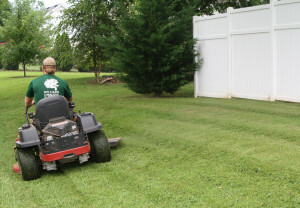 When you need expert lawn care services in Middle Tennessee, look no further than Williams Landscaping and Lawn Care. We take every necessary step to ensure your lawn is as healthy as possible. Everything you need for an amazingly lush and green lawn can be done by the team at Williams. We offer mowing, aerating, seeding, tree pruning, and leaf removal services to better serve our customers. 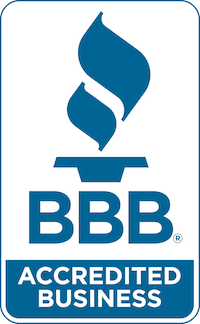 We are cost-effective and take pride in helping customers get the most out of their budget. Our team will provide you with a healthy lawn that is free of weeds. On average, one tree can provide a family of 4 with fresh oxygen everyday and remove 26 pounds of carbon dioxide from the air per year. Thus improving air quality.